I feel like there is a lot to be considered in regards to how the environment we create and work in during our public and private sound offerings affect the perception of our listeners. We are creating very sensual experiences for our listeners. We are asking our listeners to become sensitive (and vulnerable) to both themselves and the space/sensual world around them. This sensitivity is almost an agreement we have to make in order to share the space together - me as player and they as listener. Listening becomes more than just something we are exploring with our ears, it is with our bodies and all of our senses within the space. The instruments I am using, when excited, fill the entire space with vibration and pressure. This pressure very often brings the listener back into their bodies and minds in ways that are sometimes incredibly unexpected. It can even be scary at times for some. Often in the sound sessions I have received, there has been an inner mental experience that goes along with observing and/or releasing what has been stored in the body - pains, tensions, etc. In my own experiences, I can not go into deep meditation or Turiya-like states while receiving a sound session until I allow myself to deal with all of the new (and old) sensitivities in my sensory/body/mind systems that the vibrations are bringing to my awareness. I really have to relate to and work with my inner and outer tensions before I can truly relax. There has been a portion of every sound session that I receive where I have to adjust my body to "fit my new skin". I have to embrace the tension in order to work my sh#t out sometimes. Once I do and my body has adjusted to the sounds, I am able to go very deep. I imagine this is true to some extent for everyone. I feel like this gets easier to navigate with practice, but I must always adjust. Training myself to respond to the vibrations around me rather than reacting to them took a lot of time, practice and exposure (especially when I got really into Low Frequency work). I remember early on while exploring the receiving aspects of sound work, (especially if I was listening to a very good musician who could really take me with them or a very bad musician who maybe did not really have a sensitivity for the environment they were creating with their sounds) that I often had to open my eyes for a moment. It was almost like a reassurance that I was still there, especially if I was working with or through my fears. I am so grateful that what I opened my eyes to was usually a really beautiful space with a beautiful person caressing their instruments. The fear left quickly because I could see that I was in a safe space and with a safe person. If I came from this difficult inner space back to a YMCA (which I am sorry to say we have shared in) and the first thing I saw was a basketball hoop, I am not sure I would have felt the same way. The set and setting are so interrelated in Gallina and my work now. I think it is super important that we focus not only on the sounds, but that we consider the space and light (and a lot of other things of course) as well. We are honestly considering becoming even more particular in the spaces we are using to share this work in (I am also re-considering how I feel our work should be best received, but that is another story that I am still working through). Let me pull this all together now. Some of my deepest healing and perceptual experiences have been with the work of James Turrell. Many years ago, I interned at a gallery in Pittsburgh called the Mattress Factory. The museum has an entire floor dedicated to the work of James Turrell. 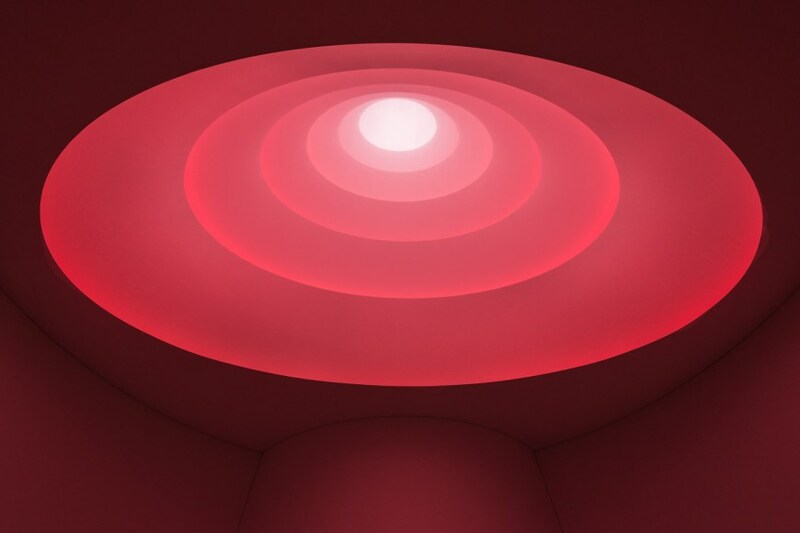 For those of you not familiar with his work, James Turrell's mediums are light and space. There are no sounds written into or played in his pieces(you still experience a great amount of sound though, but more like the sound of you breathing or walking). During my time at the museum there was also a temporary exhibit that lasted for a year. One of my jobs was dismantling this exhibit. I can not tell you how much this experience affected me - to see how it all went together by taking it apart. It was heartbreaking and enlightening at the same time. His work is like a temple for me now. He has a piece that takes 10 minutes for the eyes to adjust just to see it. Amazing! I began to really "feel" these spaces and myself in them. The stillness that these light spaces demanded of me often shook me to the bone. I listened in these silent rooms of light frequencies so deeply that I feel I began to retrain my sensory system in many different ways. My entire experience of how I perceive light in all spaces was changed completely. I was never the same. A lot of my greatest personal lessons in life have really involved simply becoming sensitive to what was already there. With new eyes I am able to see. James Turrell is the greatest living artist to me because his work forced me to confront so many different levels of perception. I had to really expand in order to allow it to envelop me. I had to become still in order to take it all in. I have gained just as much understanding of consciousness and perception from listening to James Turrell speak as I have from anyone claiming to be a holy(hu)man. I really feel that we can all learn a lot from him and from other artists whose works are grappling the senses. We are all working in with same mediums (perception and consciousness) to some extent. I am including an interview between James and Charlie Rose that I really enjoy. In closing, someone asked me recently what I hoped people walked away with after our sound sessions. I honestly hope that Gallina and I (and all of us working with sound) are creating an experience for our listeners that touches them so deeply and completely that how they relate to their senses and the world around (especially how they listen and receive) is changed forever. If I do that for one person, my time on this planet has been well spent. Mahalo Mike! I am also deeply reverent of the light spaces we work within as well as the sound. I am hoping to learn how to program micro-controllers and LED arrays to develop my own lighting for our sound soaks. It is my goal to provide a synaesthetic environment where the lighting responds in real time to the sound that we are creating. I am looking forward to this interview, and really appreciate your share!